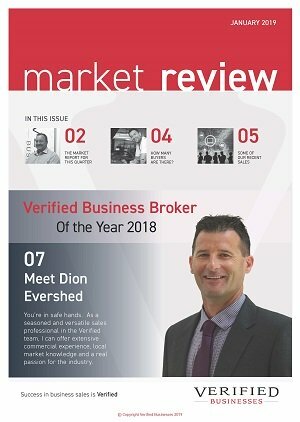 Business for sale on the Sunshine Coast – Dion Evershed 0414 741 626 of Verified Businesses has pleasure in presenting this Home Based business for sale. This easy to operate home based transport business specialises in the transport of building and construction materials to businesses and clients between Brisbane and the Sunshine Coast, and also locally from point to point around the greater Sunshine Coast region. Typical clients include commercial clients, tile stores, landscape suppliers and manufacturers. The business has just secured over 6 months work transporting supplies for a major developer, which will involve daily trips between Brisbane and the Sunshine Coast. The business has major repeat customers and receives new clients through word of mouth and referrals. From one point booking contact, to urgent delivery options, this business is known for flexibility and outstanding service. Only available for sale due to a change in family circumstances, this opportunity is not to be missed. With huge growth forecast for the Sunshine Coast region, this business is poised for many years of profitable operation particularly through future expansion. This is an ideal business for an owner driver or husband and wife team. Be quick and call today for more information on how to acquire this business on the move!! !